The battery industry is all charged up, although prices are down currently in response to low lead and metal prices. However, the sector is expected to grow as domestic automobile manufacturers escalate their demands, the rechargeable battery sector expands, and leaders in new battery technology help drive the sector forward. Technological advances are playing into industry strengths: the demand for electric vehicle (EV) batteries is exploding as both domestic and foreign car builders signal their transition away from fossil fuels. Tesla's Elon Musk is underscoring his commitment to solar energy stored in long-life batteries and his "Gigafactory," a 4.9 million-square-foot-battery production facility located in Nevada, is already producing more battery units than any other individual factory in the world. Musk is also betting on solar power replacing fossil fuels and his "Powerwall" home battery is completely energized by solar radiance (no grid power) and holds a charge that powers continuous use for seven days during an outage. Globally, the investments in new battery technology and production are escalating, driven by the worldwide agreement to reduce carbon emissions caused by fossil fuels. More and more businesses are investing in alternative energy sources to help reduce costs and lower their carbon footprint. In the United States, the industry grew by 12.12 percent during 2016, adding almost 4,000 jobs and slightly more than $60 million in increased earnings in the same year, according to IndustryNet data. Compared to the manufacturing industry, 5 percent of battery manufacturers reported adding jobs while only 4 percent of manufacturing companies reported that gain. Sales, however, in both battery and general manufacturing tied at 1 percent growth year-over-year. Although the battery sector runs equally with general manufacturing for numbers regarding women-owned companies at 2 percent and minority-owned companies at 1 percent, it experienced higher raw materials imports compared to the previous year - 13 percent compared to 11 percent. While general manufacturing bested the battery industry when it came to the year-over-year growth of its domestic distribution - 70 percent vs. 61 percent, batteries bested manufacturing regarding international distribution, growing by 33 percent compared to manufacturing at 29 percent. Geographically, the battery sector plays a significant part in the economies of the U.S.'s four quadrants: In the Northeast, 57 companies had almost 10,000 workers (9,581), representing 12 percent of the industry as a whole and 28 percent of its workers. 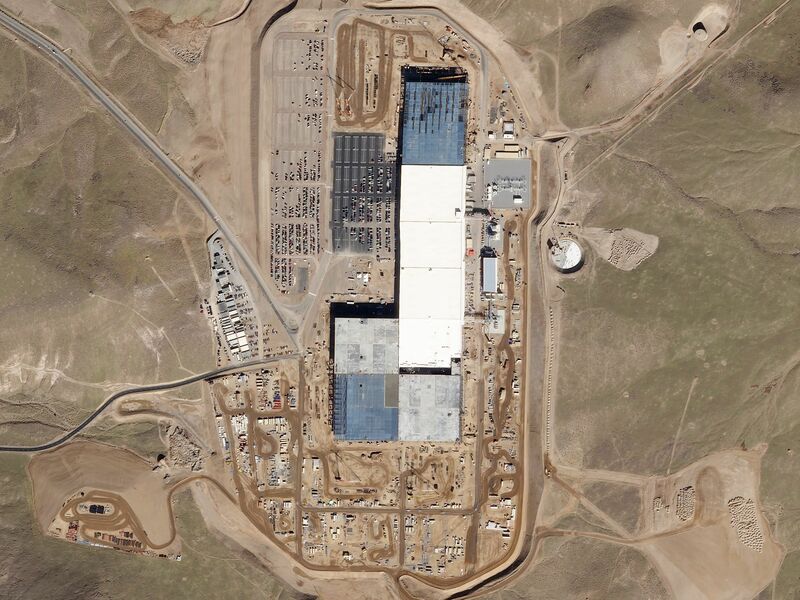 Tesla's Gigafactory is, by far, the largest battery manufacturing plant, covering 13.6 million square feet in McCarron, Nevada with 1,000 workers, and is a leader in new battery technology. The second-largest battery factory as measured by square footage is the East Penn Manufacturing Company of Lyon Station, Pennsylvania, which is 3.2 million square feet and is 7,000 employees. At the other end of that spectrum, Johnson Controls Power Solutions Division, which has 523 employees working out of its 300,000-square-foot plant in St. Joseph, Missouri. In between Tesla and Johnson are EnerSys Energy Products in Warrensburg, Missouri, at 600,000 square feet and 661 workers; EaglePitcher Technologies of Joplin, Missouri, at 500,000 square feet and 870 workers; and Exide Technologies of Salina, Kansas, at 400,000 square feet and 830 workers. Both Johnson Controls and EnerSys grew their worker population in the past year as did Crown Battery Manufacturing of Fremont, Ohio; Batteries Plus of Brandon, Florida; and House of Batteries of Fountain Valley, California. While automotive battery manufacturing accounted for the most job growth of 16.4 percent year-over-year, industrial batteries accounted for the highest increase in sales, growing 22 percent from $80.5 billion to more than $98 billion year-over-year. The number of lithium-ion battery workers also grew by 13 percent, compared to last year's outputs, although its sales numbers remained stagnant at slightly more than $7 billion. The entire U.S. battery manufacturing industry, which also consists of storage, dry cell, rechargeable, locomotive, commercial and telecom batteries, grew by .88 of a percent compared to figures from the previous year. To connect with leaders of new battery technology or any other type of industrial supplier or service provider, start your free search on IndustryNet. IndustryNet is a one-stop resource for all of your industrial supply needs, providing information on 400,000 U.S. manufacturers as well as suppliers of 10,000-plus industrial products and services. Request a quote, contact a company directly, connect on social media, obtain a list of industrial suppliers in your area, and more. Related Companies: Batteries Plus, LLC, Crown Battery Mfg. Co., EaglePicher Technologies, LLC, East Penn Mfg. Co., EnerSys Energy Products, Inc., Exide Technologies, Inc., House Of Batteries, Johnson Controls, Inc., Power Solutions Div., Tesla, Inc.